If you place your bet in a betting shop or are unlucky enough to suffer a rule 4 deduction, you may not know your expected returns. 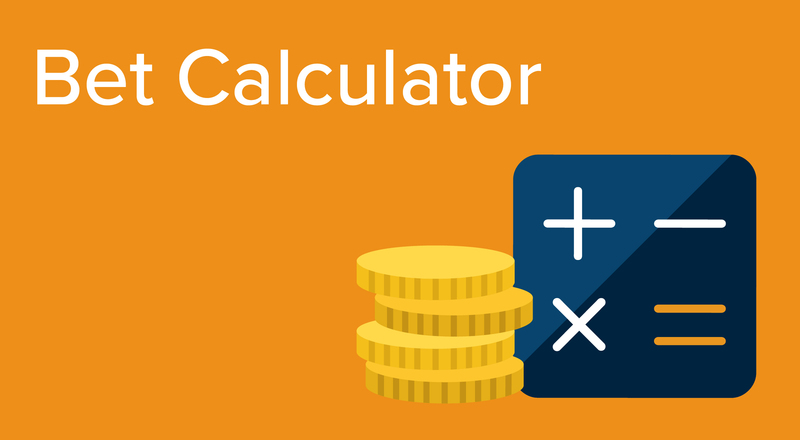 Without burning any brain cells using complex math, you can use a bet calculator to work out your expected returns for you. Whether it’s a single, complicated multiple or an accumulator, these online bet calculators can work out your winnings no matter the stake. Simply choose your bet type, choose your odds and enter your stake, the bet calculator will do the rest for you. This is a useful tool for working out your bet following a rule 4 deduction, a non-runner selection within a multiple or each-way placings, that you wouldn’t usually get on your bet receipt. The Racing Post is currently developing a customised bet calculator that will serve all your needs. Until then, the above examples are easy to use, well laid out, and proven to be reliable. For more information on ‘What The Odds Mean’ click here. The Racing Post newspaper is the UK and Ireland’s leading daily horse racing newspaper. Launched in 1986 by Sheikh Mohammed Bin Rashid Al Maktoum, the Racing Post newspaper is a specialist racing newspaper. Exclusive content includes latest news, analysis, expert opinions, tipping content and racecards, as well as being supplemented by sport content. The paper is available seven days a week, costing £2.90 in Britain and €3.50 in Ireland. Here is a breakdown as to what content you can expect to see in the paper. Some of the best journalists in racing provide you with the biggest horse racing news, which you can expect to find in the opening pages. It could be a trainer retiring, an injury announcement or just news that helps set the scene for an upcoming big race. Whatever the big news in racing, it will be found towards the front of the paper. Our experts will preview all of the big races in the racing calendar, featuring news and quotes from the key trainers on their horses. Every day – even on the quieter ones – there will be a preview of the next day’s racing action. Likewise, there are big-race reports throughout the year and every afternoon meeting is covered in the daily Talk Of The Tracks section. A number of regular columns appear in the Racing Post and they should not be missed, with award-winning writers such as Lee Mottershead tackling the big issues in racing. Stories often go beyond the immediate news and reaction that comes out every day. Feature articles, sometimes across multiple days, cover broader issues or themes affecting the racing industry. Each Sunday a group of features are combined to make up the popular Racing Post Sunday section. Expert tipping comes from some of the best tipsters around. Headline acts Pricewise and Paul Kealy feature regularly in the tipping section, with well-known names such as Pietro Innocenzi, Graeme Rodway and David Jennings ensuring there is strength in depth. Furthermore, each day our regional experts provide their best bets from all the meetings in the daily Tips Box section. The Racing Post provides a vital service to the racing industry and the Bloodstock section is an essential daily digest for many of the paper’s readers. There is a designated section, bringing you the latest news from some of the biggest breeding operations in the world and the latest sales news. Racecards are an essential part of the Racing Post newspaper. Every runner is highlighted in full colour, along with relevant information such as trainer, jockey, owners, form, age, weight, rating, breeding, saddle cloth number and more. This is the basis of in-depth form study for the day’s racing. The traditional newspaper form has stood the test of time, with in-depth analysis of previous races for every runner on the card with a short description of how the race played out. The newspaper is packed with statistics and ratings to help you find more winners. Some of the most insightful information can be found in jockey statistics, trainer statistics, racecourse statistics, track rating and previous winners. Much like the racing side of the paper, the greyhound section features the latest news, previews, cards and results from the sport of greyhounds. At the back of the newspaper, you will find a dedicated sports section with the latest previews, betting advice and opinions for the biggest events in sport. Our team of experts will help you keep up with the best sporting action and top betting advice in football, golf, tennis and much more. Keep up to date with all the latest horse racing news, reviews and tips with Racing Post TV (PRTV) and the Racing Podcast. At RPTV, our focus is to provide comprehensive coverage of the sport we all know and love, horse racing. Our daily diet comprises interviews, features and reviews of all the day’s racing. We also broadcast daily weather forecasts to keep you up to date with the latest going, expert tips to mark your card for the upcoming day’s races and guides to better betting. You can find RPTV coverage on Facebook, Twitter and YouTube. Our regular racing podcasts contain expert analysis and insight for the big races and big stories from the world’s number one horse-racing service. Monday’s racing podcast takes a look back at the weekend’s racing, reflecting on the action and debating the big news stories. Friday’s ‘tipping’ Podcast takes a look at the weekend’s action, discussing the best bets. Hosted by Bruce Millington, and often aided by a renowned tipster, Paul Kealy, the racing podcast has quickly become a popular source of valuable punting knowledge. Aside from the racing podcasts on Monday and Friday, Racing Post also records podcasts for various sporting events. The weekly golf podcast is available on Wednesdays, with the world’s greatest golf tipster, Steve Palmer, sharing his opinions each week. The football podcast is available on Thursdays, looking at the weekend’s Premier League action and discussing the big talking points of the week with resident tipsters Mark Langdon and Dan Childs. Other podcasts are available around big sporting events, such as Darts, NFL, Boxing and Gaelic football. 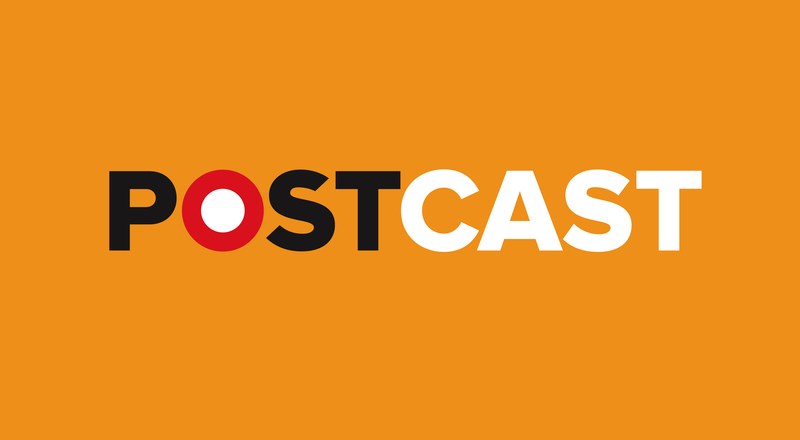 You can find the Racing Post Postcast on YouTube, Soundcloud and even download it from iTunes. The Racing Post Store offers a range of products including books such as biographies, betting guides and sport annuals, as well as gift ideas and photographs. Head on over to the Racing Post Store to find out more. 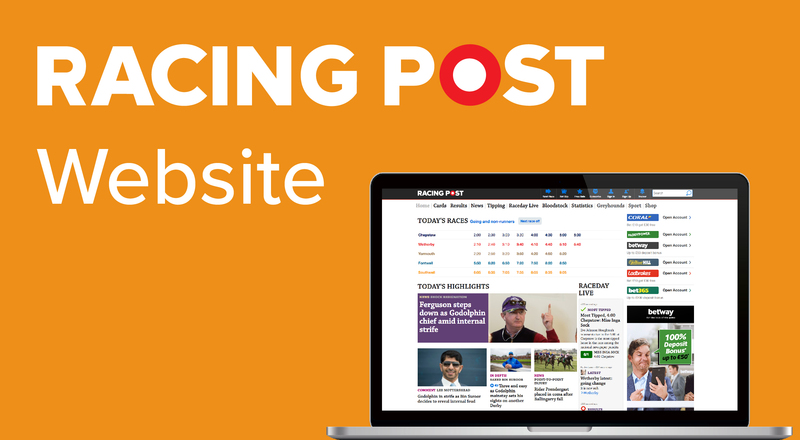 Racing Post Members’ Club provides an enormous amount of key features, content and analysis that is not available for free on the Racing Post website, in addition to all of the content already made publicly available. 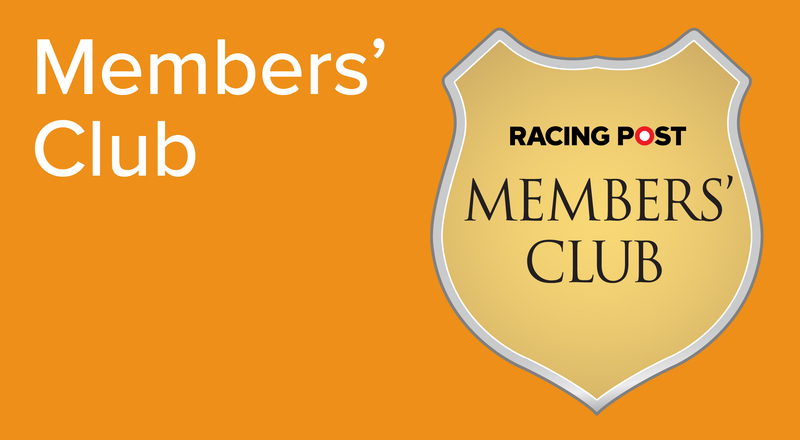 Made up of two tiers of subscribers – Ultimate and Essential – the Members’ Club is essentially like a big horse racing club, providing access to a more comprehensive service for people ranging from those working in the industry to the keen racing fan. Both forms of subscription can be paid as a monthly or yearly package, with a saving included for those who pay yearly. 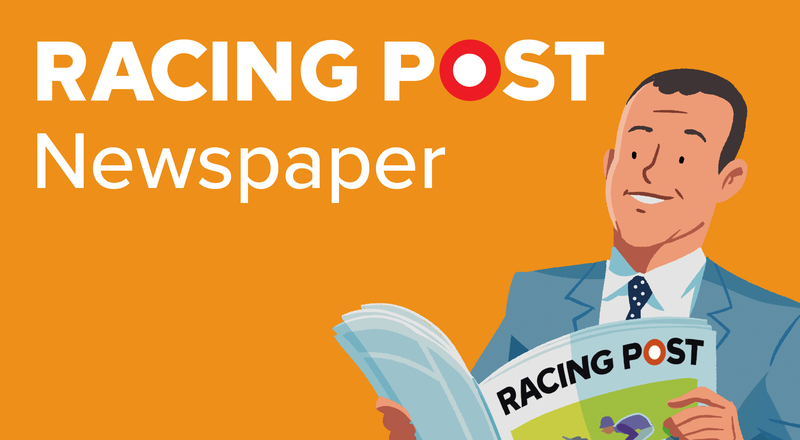 The Racing Post’s most comprehensive package includes all of the daily newspaper content, including features from top racing journalists, big-race previews and reports. The full Racing Post tipping content is also available from 8 pm the night before racing to give members an early edge on the following day’s markets. Subscribers can also benefit from unlimited video race replays from all 86 racecourses in Britain and Ireland, an invaluable service for those wishing to conduct form study or to simply re-watch the best of the action. Access to our Stable Tours database, news archive, Signposts and all the features from our Essential package (explained below) are also included. Operating between the free content available on the website and the complete package offered by Ultimate membership, the Essential Members’ Club still offers plenty of excellent exclusive content. Access to horse tracker, Spotlight comments, results analysis and the ability to add your own notes and ratings to any horse are part of the Essential package, and Essential members are also able to access Statistics, Racing Post Ratings, Topspeed Ratings, Members’ Enclosure, Rewards4Racing points and Pedigree Information. For further information regarding costs and to clarify the differences in the levels of subscription, click here to find out more. The Racing Post website is the ultimate horse racing website, keeping readers up to date with all the big stories and news from the world of horse racing. Not only that, our experts produce in-depth previews and analysis of the action on the track, and it has never been easier to get prepared for a race day with our excellent racecards, enabling excellent form study with easy access to a large number of race replays. In many ways, the content provided by the website and the Racing Post newspaper is similar, except the website provides updates instantly as news breaks, while providing lots of little extra snippets the paper cannot, such as the race replay section. Some of our expert content is only available to subscribers and can depend on the level of subscription, with two subscription options available. Ultimate members have access to everything, while Essential members have access to a host of additional features compared to the free version of the website, but do not have the ability to access everything. The cards are a useful tool for any punter and include pertinent information about all the runners at upcoming meetings. Spotlight comments for each runner are available under a subscription and it is easy to dig deep into the form of each individual runner. Click here to go to cards. The results section makes it easy to find the winners and losers each day, while it has never been simpler to access full race analysis and replays from all the action in Britain and Ireland. Click here to go to results. There is a section dedicated to news, with our reporters using their unrivalled contacts to deliver breaking stories, as well as in-depth features. This section of the website also features daily previews of races and reports from the action that has happened out on the track. Click here to go to news. Our popular tipping section is filled with predictions for each day of racing from some of the nation’s top tipsters, including Pricewise and Paul Kealy. Our regional experts also provide their best bets from the cards. For those who don’t have much time on their hands, our tipsters make it quick and easy to be informed about where the value lies, including a daily ten-second tip. Click here to go to tipping. The race day live section is a valuable tool for punters who cannot make it to the tracks, with reporters providing useful insight and pointers from the course. Click here to go to raceday live. Bloodstock is a crucial part of the horse racing industry and the Racing Post provides leading coverage of the best breeding stories from the biggest names in the game, including in-depth coverage of all the major sales. Click here to go to bloodstock. The Racing Post website has a wide database of statistics that is available to access and filter to your own individual needs. This section of the website is designed to aid form study and help you decide on the best angles and bets in a race. Click here to go to statistics. Clicking on greyhounds on the Racing Post website takes you to a separate site dedicated to greyhound coverage, which includes all the day’s cards, results and news. The site also offers the ability to bet on greyhounds. Click here to go to greyhounds. The sport section offers betting previews and best selections for upcoming events across a number of sports, all provided by our team of experts. Click here to go to sport. 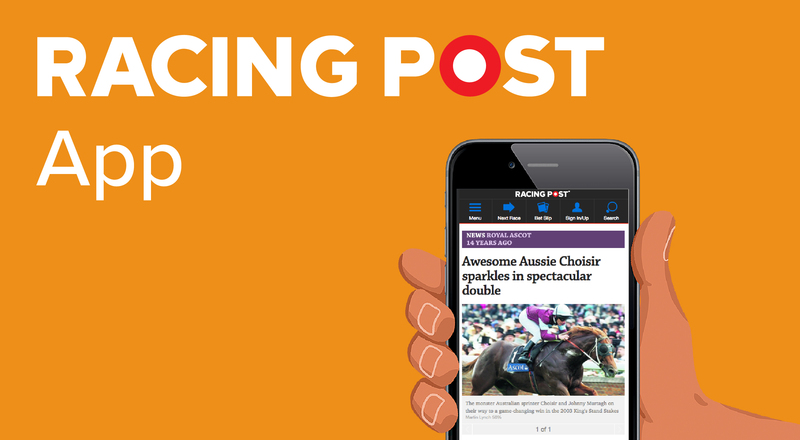 The Racing Post app is the ultimate horse racing app, providing daily racecards, fast results, expert tips, free bets, the latest breaking news, live race streaming and a seamless betting experience. Available on iPhone and Android, the Racing Post app is the fastest and easiest way to place an informed bet, aided by the knowledge of more than 200 experts. Here is a breakdown of the features which make the Racing Post app the racing app that has it all. Need to see the field before you make your selection and place your bet? Find out about every horse running in every race with our detailed racecards. Our deeper form will let you delve further than ever before into individual form, race records and pedigree for every horse. Interested in hunting out the value bets? This is where our renowned tipsters come in. Our Spotlight verdict gives you the most likely winner plus we pick out the killer key stat in each race. Still not sure? We also compile a list of the horses most favoured by all our leading tipsters and other national publications. The Racing Post Predictor will also give you an animated prediction of the placings in any race based on unique Racing Post stats and ratings. Once you’ve made your selection, bet seamlessly with Coral, Paddy Power, William Hill and Ladbrokes through our integrated bet slip without having to leave the app. Simply log into your existing account or register. You can also take advantage of weekly bet offers and Best Odds Guaranteed on daily UK and Irish races too! Bet £1 or more on any UK or Irish race and you can watch how your horse gets on live on the app with our Bet-And-View service – never miss a winning moment again! Keep on top of things throughout the day with our breaking news service. Whether you are following the market movers, need updates on the going or want to know about any non-runners, our on-course experts are always sending through the latest news and information with our handy Raceday Live feature. Can’t view the race and want to find out how your horse got on? Our results service will keep you in the know – we provide you with a fast result followed by a more detailed analysis of every runner in the race. Not exclusive to horse racing, the Racing Post mobile app provides the day’s cards, comments for each runner, tips and the ability to bet quickly and easily with the four available bookmakers.